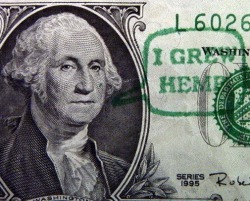 Presidents Washington and Jefferson both grew hemp. Americans were legally bound to grow hemp during the Colonial Era and Early Repbulic. Because of its importance for sails (the word canvass is rooted from the word "cannabis") and rope for ships hemp was a required crop in the American Colonies. Henry Ford's first Model-T was built to run on hemp gasoline and the car itself was constructed from HEMP! The car, "Grown from the soil" had plastic panels made from a misture of 70% cellulose fibers from hemp whose impact strength was 10 times stronger than steel at two-thirds the weight. Alcohol prohibition prevented Ford from powering his fleet with "plant power." We popularly think that ethanol and biodiesel "flex fuel" systems are all very cutting edge, but biofuel development is not a new science. In the 1930's, Ford was hard at wok in the asternative fuels sector and in 1941, he constructed a hemp fueled and hemp-bodied prototype car. We've had our fill of limited edition Elises lately, largely because they rarely bring anything new to our favorite track-day toy. However, the Lotus Eco Elise stands apart. Sure, it's got the same drivetrain as the Elise S, uses the same aluminum tub and shares the same shape as its arguably environmentally friendly siblings, but the differences are in the details. To begin with, the Eco Elise uses a host of sustainable materials to make up the body and trim, including hemp, "eco wool," sisal and a new high-tech, water-based paint that can be applied by hand, while still maintaining the grade-A finish you'd expect. All of these elements reduce the Eco Elise's footprint throughout its lifecycle, limit the amount of energy used during production and simultaneously slashes 70 pounds from the standard Elise's curb weight. But Lotus hasn't stopped there. It's fitted a set of flexible solar panels on the hard top to help power the electrical systems, reducing the drain on the engine and improving efficiency. And there's a new green shift light on the instrument panel that assists drivers in maximizing fuel efficiency. You can read up on all the details of the Eco Elise in the press release after the jump, and expect more information and pictures when it makes its official debut at the London Motor Show later this month.